Orthotics are inserts for your footwear that help correct structural problems in the foot such as high arches or flat feet. These problems often result in pain in the sole, heel, forefoot, ankles, knees, and, sometimes, the hips and back. Orthotics can also be helpful in addressing structural conditions that lead to the buildup of callus, formation of corns, diabetic foot wounds, and complications from claw toes, curly toes, hammer toes and bunions. When used appropriately, they can be extremely effective. 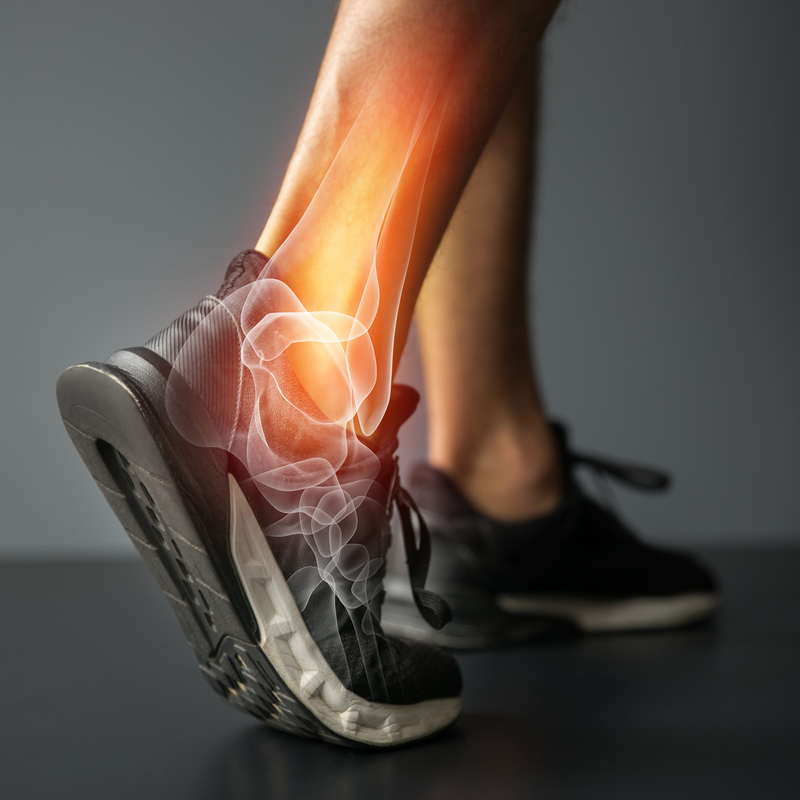 However, as orthotics become a more recognizable form of therapy, it seems everyone from shoe stores to shopping mall kiosks and other aggressive entrepreneurs is selling them. Many different kinds of in-shoe devices are referred to as “orthotics”. Insoles, arch supports and other ready-made products including “stand on the box” systems that deliver on-the-spot solutions are not custom orthotics. Nor are the orthotic systems that have you walk across a special mat. Despite the colourful pictures, these systems only measure pressure; they do not and cannot capture the unique 3-dimensional shape of your foot. This seemingly “advanced” technology may seem impressive to the average consumer. However, what the unsuspecting public may be purchasing is an overpriced arch support or, worse, a custom insert that is shaped to a faulty foot. Custom-Made Prescription Orthotics should only be made after a thorough biomechanical assessment and accurate orthotic design (prescription) using true 3-dimensional impressions of your feet taken by a Chiropodist. Ideally, an impression of your feet for prescription custom orthotics uses a very specialized technique. Our Chiropodists adjust your feet into a special position called ‘sub-talar joint neutral’ while they are suspended in the air, and then creates a non-weight bearing computerized 3D scan, or plaster mold, of your feet. He or she prescribes adjustments to your impressions using precise calculations to help correct any deficiencies in your foot structure. Capturing an impression of your feet using the Suspended Sub-Talar Joint Neutral Technique is considered to be the gold standard. In fact, many insurance companies insist on orthotic prescriptions from registered members of the College of Chiropodists of Ontario, who use this technique. Other methods of casting, including weight bearing computerized scanning mats, take a mold of your foot while you are standing on it. Think about it. Why would you want a device that was created for your foot while it was in the very position that was causing your pain in the first place? The science of orthotic manufacturing has come a long way since it first began. They used to be very bulky, which limited the variety of shoes in which they could be used. Today, orthotics easily match the versatility of your lifestyle. They will fit into a range of footwear for everyday life and sports, including dress shoes, running shoes, skates and ski boots. Orthotics can even be molded into the beds of summer sandals. We strongly discourage women from wearing high-heeled shoes since they adversely affect foot health, but if you must, orthotics can also be fit to many of these types of shoes. Is your device “custom” or “customized”? Our Chiropodists prescribe and dispense prescription custom orthotics. This means that they take a 3D impression of your feet and prescribe corrective calculations for a device that is made specifically for your foot only. The prescription is sent away to a high-quality lab for manufacturing, which normally takes two to three weeks for your device to return. You are then fitted with your new orthotics, and instructions are provided for their use. Suspended sub-talar joint neutral orthotics are precision medical devices. They may look similar to some customized orthotics or devices cast using computers or foam boxes. However, it is what you do not see that makes the difference. The years of training undergone by the Chiropodist, the science in his or her prescription and in creating the device, the quality of materials, and the versatility in treating a wide variety of foot problems all set these orthotics very much apart. A good comparison is the precision set of eyeglasses you receive through your optometrist versus the one-size fits all glasses you can buy at your drug or hardware store. The glasses you receive through your optometrist correct for your specific eye problems following a thorough eye health exam. The one-size fits all glasses are basically magnifying glasses mass produced to pre-set values. Unfortunately, orthotics provision is not regulated in any Canadian province. Essentially, anyone can set up shop to provide a device they call an ‘orthotic’. This makes it challenging for the average foot pain sufferer to choose a device and provider. However, as government regulated foot specialists, members of the College of Chiropodists of Ontario (Chiropodists and Podiatrists) are bound by specific rules regarding orthotic therapy as part of their licensing. They are also highly trained. Chiropodists and Podiatrists receive nearly four years of intensive lower limb bio-mechanics, gait analysis, and orthotic therapy training as part of an overall foot medicine program. Some people providing orthotics receive as little as one day of training, or, worse, some are providing orthotics with no training at all. It is an unfortunate situation, and both the Ontario Society of Chiropodists and the Ontario Podiatric Medical Association are lobbying the government for regulation and provincial standards of practice for providing orthotics. Not everyone who suffers from foot pain or problems necessarily needs a pair of orthotics. When you see your We-Fix-U Chiropodist, you are seeing a highly trained medical foot specialist who can provide a wide range of treatments. He or she can identify your problem and match it to the most appropriate treatment approach or combination of approaches. In some cases, as well, foot pain or problems may be symptomatic of other more serious foot health issues. Orthotic therapy may or may not be the best approach to help address these symptoms. Your Chiropodist is able to determine the best treatment based on your overall foot health. As a medical foot specialist, he or she helps ensure that any potentially more serious underlying problems do not go undiagnosed and unresolved. He or she is uniquely trained and licensed to provide a total management plan for your foot problem.